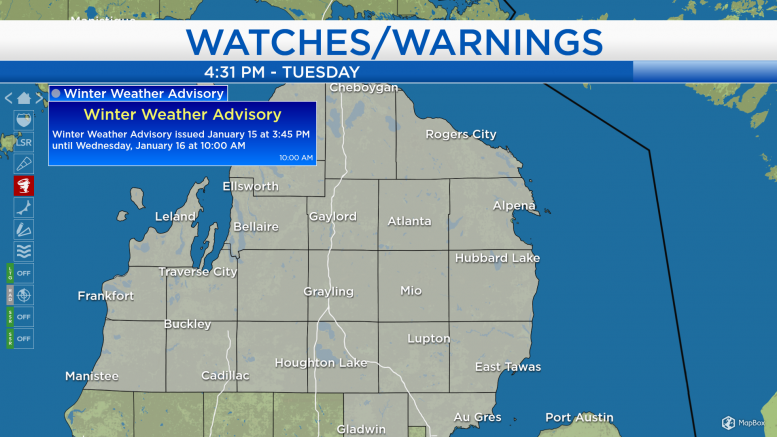 A Winter Weather Advisory has been issued by the National Weather Service for all of Northern Michigan tonight, as freezing drizzle changing to snow showers will move in later this evening. The area of wintry precipitation is currently slipping toward the southeast from the Upper Peninsula, heading into our area later this evening. The wintry mix and snow showers are just ahead of a cold front which will bring cooler temperatures tomorrow. High temperatures today reached the lower 30s under overcast skies with a breeze out of the southwest about 10 mph which helped to keep temperatures seasonable. After a cold front passes through tonight, winds will shift out of the northwest, picking up to about 15 mph later tonight-early tomorrow. 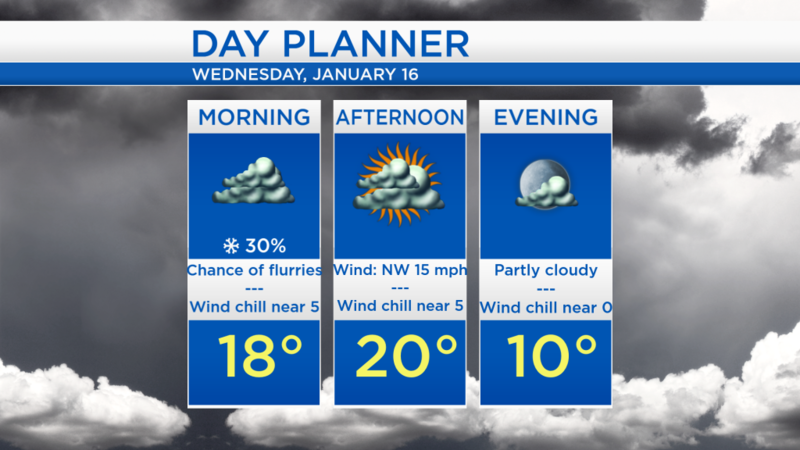 Low temperatures will drop to around 18 degrees early tomorrow, but it will feel like 5 due to the wind chill. Winds will gradually ease during the afternoon and evening, but temperatures will not rise much, only reaching a high of 20 degrees. 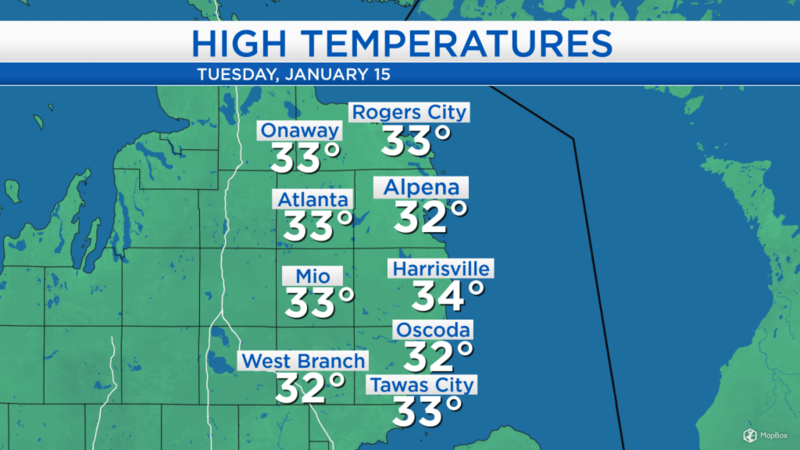 Highs will only reach 20 degrees tomorrow, then warm slightly on Thursday into the mid-20s. A second cold front will pass through Northern Michigan Thursday night or very early Friday and that will introduce a frigid air mass coming this weekend. 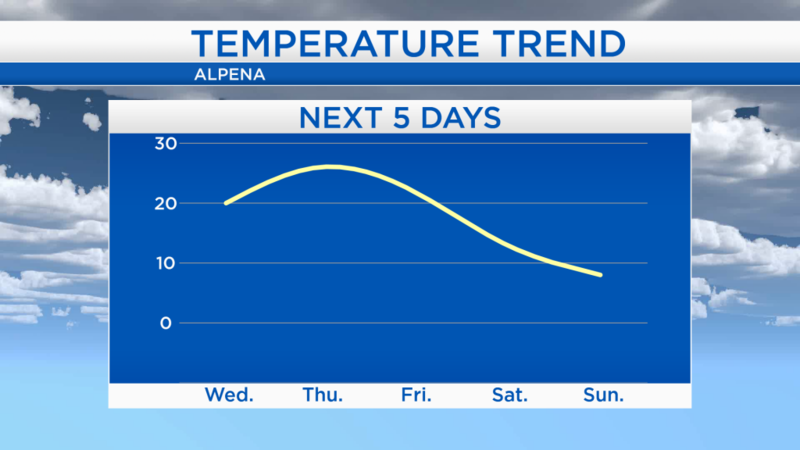 Daytime highs will reach the lower 20s on Friday, then lower teens on Saturday, and possibly falling shy of 10 degrees on Sunday. Areas of freezing drizzle or snow showers will move through our area tonight, then most of tomorrow is looking dry, mostly cloudy and cooler. Thursday will start with dry weather and highs reaching 25 degrees, until a second cold front brings another chance of flurries during the evening. High temperatures on Friday will reach about 22 degrees under mostly cloudy skies. On Saturday, the Sunrise Side will be on the northern edge of a storm system moving through the Plains to the Northeast, which will bring a chance of snow. For the rest of Northeast Michigan’s weather forecast, watch the latest weather video by clicking the weather tab at the top of the page.